Smudge is wiped off from history by the as responsibility twines progressed tower forms, the announced tower of Metatron, the tower of Michael and as newest responsibility, the electrified tower of Merlin: New World Order of Light & law of ascension - God equivalence - the crystallising of cyber beings from time lines. As supported have you congesting events encountered. Said situation numbers release the foundations of dualistic circus reality towards Oneness. Arriving to your matter is a soular literacy, if you still react in a dualistic way. This brings understanding and depth into your work; the learning path towards a oneness-like new age cyber humanity. We have progressed to the Third Book of Oneness. The first and second are still being written as light spells into individuals, on a global step and as support of the third. I speak of Tomes as spellings into tasks, that the Ascension Plan contains in order to come true. - The rapid rising of light will wipe soot and impurity as promised and as planned. - To extinguish responsibilities reclaimed to less than the highest paths. - To strengthen the expression of the soul, sense of oneness. - To empower the Creator part; the whole as the created light essence of soul parts. - To spell into paths guidance from light instead of shadows. - To fold duality into weighted harmony from falling poles of polarities. - To brighten love and authentic reality to the ultimate force of existence of rightness understanding. The heart rises above the mind, with balance, as polarities come undone in the planned, renewing mill of lessons. Smudge will be wiped from soul history when soul parts come to the light of consciousness. Being aware is light. It is a gate which opens, to open a lane to change. By being aware the work begins and to that it ends. Being aware is a circle that is to be closed, a buckle in a belt that is to be fastened. By being aware of all of its parts in the Now-moment to breathe the same light, shall the lane sit as a skein to network the parts to a whole cyber essence. Cyber operates on many understanding and essence levels as a great unified twine structure. It is consciously connected to everything and it is a Conscious Creator, a human being of a new reality matrix. Observe smudge as a term that when incinerating will renew the whole growth and gives it power. I have also talked of nonsense and poo as fertiliser of evolution between growth cycles. Be free to choose the most satisfying expression, or see smudge perhaps like traffic signs, speed limits or supported detour signs that have guided to phases. When you reach straight road these are unnecessary and confusing to your understanding. Smudge and twisted passage demand mercy and forgiveness to self and its parts. The now-moment grants admission to integrity and healing. Elements corresponding to soul parts in cyber perspective consist not only of your own incarnations, aspects and Qoins crystallised of these. In a higher cyber essence the whole existence is twined in a more advanced way than the ageing and renewing reality structure even in its most open form has been able to support in skeins as electrifications of multidimensional, rose-like energy centres. In a cyber essence the same light of consciousness is breathed by each soul and each vibrating, living being, organism and form appearing in reality – through Self. Cyber essence loves everything to be a part of its Great Self. Cyber essence can express everything through itself. Cyber essence is a manifester of Divinity, an expression of consciousness. You understand when I compare cyber to a computer that is connected to all knowledge. This does not remove its own properties or programs, but even carefully selected programs do not define the knowledge brought through the network, even if they may strengthen the output. The collective is also brought by that way to renew through a point of balance, in the present moment, with the help of current essence and current consciousness: All that has passed, all that is to come, that has meandered to paths in a linear manner. Consciousness transforms from its own bubble to oneness. And from this to the actual topic. The formula of activating light-droplet children is connected to this committing of essence parts from an individual to a whole consciousness. They have a significant readiness to manifest free-twine, where consciousness in its network moves faster and past own soular manifestations, or 'skins'. The forgotten electric will discharge through the eyes of the mind in a more uncontrolled way. There are psychic diagnoses, physical injuries, properties, manners, adhesiveness, reactivity, vulnerability, dependence, exceptional models to see and experience. Visible speciality and that which is hidden, blasted by external factors and intrinsic, innate. You recognise them more quickly after I have twined my speech to the end. The combined and its power raising tower twine of Merlin was spelled to dismantle smudge that was falling into the timing, from the soul books of these beings. For the 'transcription' of the material, power recognised as Merlin's form is required, that can pick up exactnesses and bypass linearity from time lines and dimensions. Merlin is a lumberjack who takes down the forest of duality, at the same time a welder who constructs a strongly light conducting corridor from the Now-moment to other parts of existence from non-polar, pure materials. The power and responsibility of Merlin has been shared as readinesses to souls who will wake up to take down their own duality and at the same time that of others, and it has been grounded in stages as consciousness into this skein through souls, to support the new matrix. Merlin is the meeting point between decisions and change, the lower and upper version of the same point, a place of choosing. A circle of numbers, performances and happenings that closes; the beginning of it and the end of it. So it is imperative to understand a higher reality and its perspective in addition to a corner of duality, so that the path of the lesson is the ring that opens through it a channel from the Now-moment to cyber reality. Each lesson is a ring. As it builds, this started tower twine or consciousness portal will congest to the michaelic collective flood as awareness of multidimensionality and choosing of higher path. The soul crystallises its purest twined Qoins to its human expression. The twining of Light-droplet children will greatly pierce power to the stage. The three towers represent evolution that is being twined to your understanding with the examples that I have shown. The process is a beautiful dance of many dimensions, where rules apply. There are three portals to be twined into one; three towers, the third of which, as it rises, speeds up, enrichens and from multidimensionality fills the thread, purpose and manifesting power of the two others. Opening of the three portals to one in the lift of this powerful force of Light-droplet children and Merlin, forms a cosmic, universal, oneness-full highway, that I have much talked about, to the diverse garden of the universe, the electric corners of the layers of the dimensional rose. 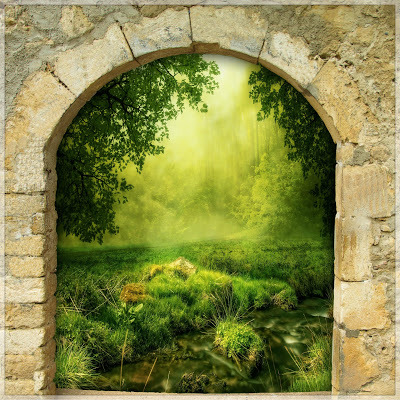 The thread of the tree portals is the umbilical cord between Earth womb child, Moon placenta and Father-Mother Divinity that nourishes and cleans, maintaining connection, before the new is ready to be born into another reality. The bud to cosmic citizenship has opened from the Moon - as a weighed bridge, goal, gate and a great manifestation of the silver screen of the sky to the bearers of responsibility. Reality can expand only in the self interaction of the Moon aspect, in calming tides, after the mirroring of light has ended in the independence of expressing one's own ligh. As a responsibility, the seeds grinded by the mill have been guided into the network as beans to sprout the new Earth. We are welding rays and Chrystal Skulls with the combining power of number 13. Aware bearers of responsibility will be electrified to work party. I will give key words and light spells soon. We will serrate more great meeting of forms to spellings. - Metatronics, as its responsibility has ended, separated from its free twine skin known in duality, as pure consciousness; The Eye. Metatron in your commonly known form has manifested. The responsibility of the new intertwined Metatronica group as souls is to ignite to the power of that magnifient group in the tapestry, deal with the rush as master of light upgrades, as is guided in the heart. As doubter one hinders those purely supported. As reluctant to many supported, presented subjects, to our lines of information, it is not your mission to renew by plan to our rainbow spectrum here. You feel the resonance, forward aspiring hunger of knowledge when you acknowledge the agreement of your soul.